Hey guys! If you're a fan of metallic polishes then you're in luck today! 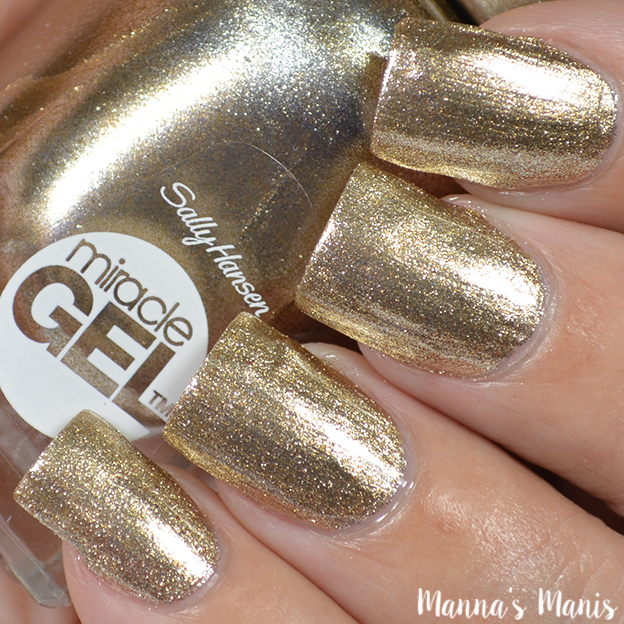 Sally Hansen has some shades that are perfect for fall! Game of Chromes (seriously, what a great pun) is a beautiful gold metallic. Applied smoothly and is nearly opaque in one coat. My swatches show 2 thin coats with Miracle Gel top coat. Rock On is a silver metallic with black glitters. I wasn't a fan of this when I saw it in the bottle, and even more disappointed when I applied it. It is very brush-strokey and..strange? I'm not sure how to describe it. Shown above is 2 coats with Miracle Gel top coat. Stilettos & Studs is a shimmery dark grey metallic. This one was definitely the winner of the 3 for me. Applied smoothly, but overworking it will cause brush strokes. 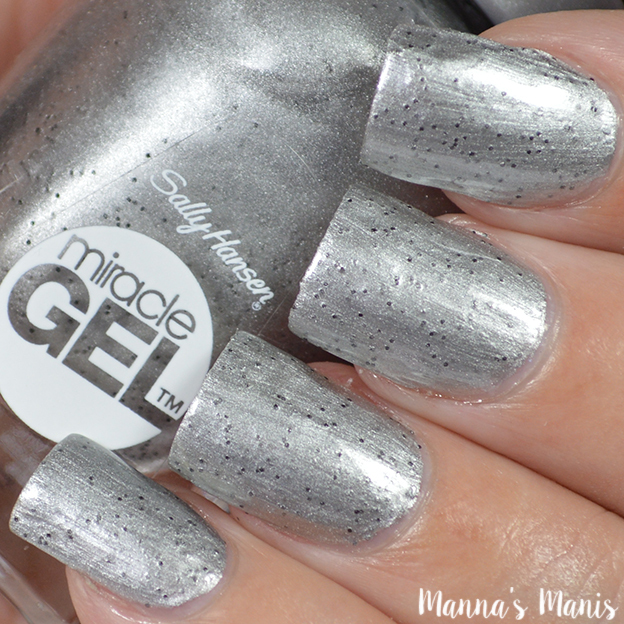 Shown above is 2 coats topped with Miracle Gel topcoat. You can pick these up wherever Sally Hansen is sold!